Let’s start the year off with a bang! 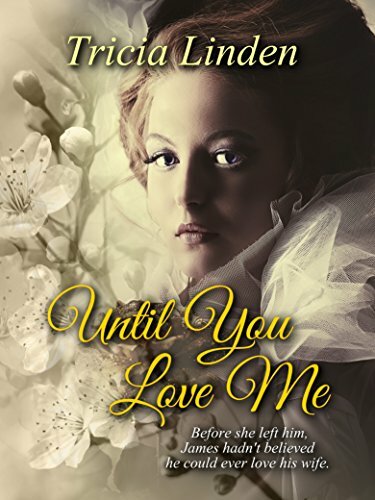 Today’s guest on First Kiss Friday is my dear friend Tricia Linden who has an excerpt from her novel, Until You Love Me. I loved this book and hope you will enjoy this excerpt. Happy reading and enjoy! He was about to rebut her statement but she continued speaking, gracefully holding up a hand to halt his words. “Are you challenging me, Mrs. Jaffray?” he asked, retracting his ire as he mused over her interesting observation. “It seems rather formal, don’t you think?” He had heard other couples call each other Mr. and Mrs. and never cared for the practice. “But only when we’re alone, not in front of others,” she said in a whisper, as if she were sharing a secret. “Not at all, please continue,” he said, enjoying the show. He had never seen a woman undo her hair in front of him like this and he found it more arousing than he would have imagined. “Would you mind helping me find all the pins?” she asked, looking marvelously seductive. “My pleasure.” He went to stand behind her and she lowered her hands, letting him take over the task. Sighing, she closed her eyes as he ran his fingers through her hair. It felt unbelievably silky in his hands. He noticed a faint scent of lavender and leaned closer to breathe it in. Taking his time to find each and every pin, he delighted in the way the heavy tresses fell across the back of his hand and over his wrists. Lingering, he wound thick curls over his fingers as he searched for the last few pins. When he could find no more, he gently massaged her scalp and was rewarded with her moan of pleasure. He chuckled at her jest and continued to massage her head, enjoying the feel of her hair in his fingers, before he spread it out across her slender, white shoulders like a veil of silk. “I don’t know why I’ve waited so long to do this.” He bent down and pushed her hair aside to kiss her slender pale neck, noticing the pulse racing beneath her skin, before moving further along her shoulder, his hands tracing a teasing path down her arms. “You must know I find you attractive.” He noticed how her breathing had increased, her breasts rising and falling mere inches from his eyes. “As your husband, I would hope you do.” He caressed his way back up her shoulders and neck, softly rubbing his lips across her warm skin, and inhaled her subtle scent. She arched her neck, moaning out a little purr. Yes, he would make his kitten purr. “But we didn’t get off to a good start, and I didn’t know how to change that.” He was skimming his fingers back up her arms now, and her voice sounded breathless and airy. His hands settled on her shoulders. “How could you? I wanted to be the one doing the choosing. I wanted to be in control.” For too long, it had felt as if her father had robbed him of his rightful control, but now Becca was giving it back. “I’d like to ravish you,” he said, somewhat surprised by his own boldness. He nipped her earlobe and whispered at her ear, “With your permission, of course.” Although at this point, he knew she would not refuse him. It was obvious, she wanted this as much as he did. More than a century separate Becky Sue Dobson and Rebecca Wheland Jaffray. One of them is about to discover how deeply their lives are connected. Becky Sue Dobson lives a dull, middle-class existence in the 21st century. After the loss of her infant daughter, she’s ready to end her life. When her car plunges over a steep hillside, instead of death, she encounters a mysterious man called the Maestro. Suddenly, everything she had thought to be true is turned inside out. In the 1890’s, Rebecca Wheland Jaffary is living the pampered life of New York’s gilded age elite, but after only four months of marriage, she would rather face the scandal of divorce than continue to live with a man she doesn’t love. The only reason James agreed to marry her was to secure a loan from her father. Feeling angry and rejected, she runs off to hide at her family’s summer home though it’s closed for the winter season. Facing financial ruin after the market crash in May, 1893, James Jaffray turns to one of the most ruthless men in all of New York and agrees to marry his daughter, Rebecca Wheland. Though their marriage was never based on love, when she suddenly disappears, James realizes his wife wants nothing to do with him. Seven days later, when Rebecca returns home, James suspects something has changed, but he’s not sure what or why. Only one thing is certain, prior to her disappearance, James hadn’t believed he could ever love his wife. 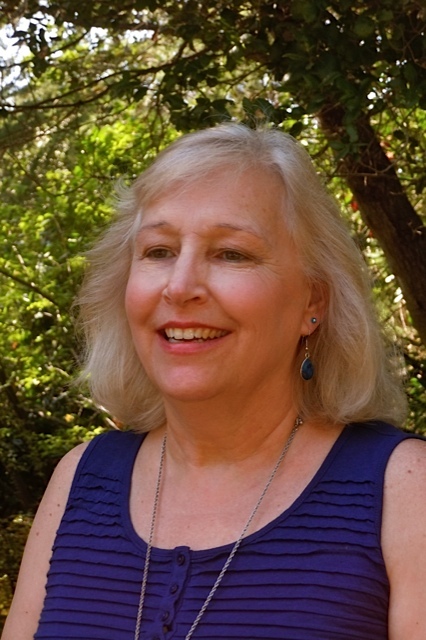 An International Banker by trade, and a romance writer by desire. In this lifetime, I’ve lived in five states, on two islands, and on a farm, and am now living in Northern California. My travels have taken me to Guam, Canada, Mexico, Australia, Hong Kong, England, Scotland, several countries in Europe, and several states in the US. Besides my love of reading and writing romance, I have a great fondness for zydeco dancing, classic rock and best of all, Pink Flamingos. Over the years, I’ve gathered a rather large collection of the fun pink birds. Hello and nice to meet you Tricia! I loved this except and it got my heart pounding a little! Have to put this on my list to read!! Thanks to you and Sherry! Thanks Lori Dykes for your kind response. Hopefully, it will give you hours of heart pounding pleasure. Enjoy always. You and your characters are welcome anytime. Thank you for being my guest, Tricia! Great excerpt, Tricia! And I love your title!